On a fairly regular basis, teams are relying heavily on quality ball rotation to get open looks at the perimeter. Ball handlers are always looking to make that one extra pass to that unguarded man beyond the arc in order to draw an extra point out of the possession. Assists are the way by which a player can affect the game despite not being able to score at regular intervals. Dishing out sneaky dimes in a traffic jam is something that draws genuine awe from the audience, and leaves the defence grasping on thin air. By the virtue of ball rotation and skilful use of passing lanes, teams are able to exploit the most out of every single possession back and forth. 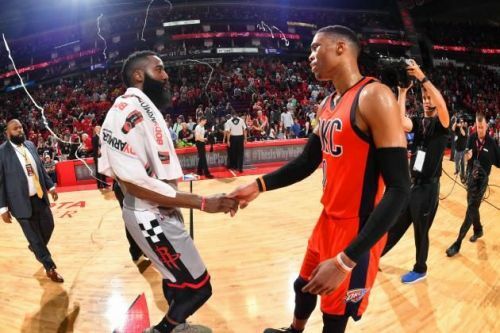 Some of the elite basketball minds in the current NBA landscape have made a name for themselves in the assists field of the game. Their impeccable court vision coupled with an ability to read the defence and make the right pass/extra pass is what sets them apart from all other facilitators in the game right now. Let's take a look at the top five players with the best assists per game average so far in the 2018-19 season. 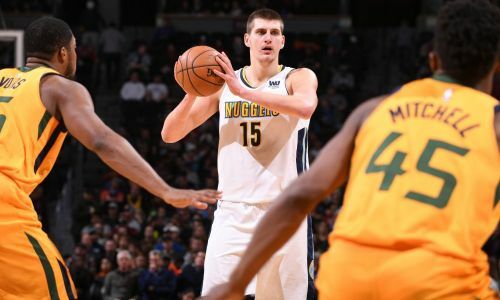 Jokic has been the centrepiece for the Nuggets' rise to glory this season. He has seen himself turn into the franchise cornerstone even before being named an All-Star for the very first time. Carrying a 7-foot frame and hailing from Serbia, the Joker has made a league-wide reputation for his fancy passing aptitude. He plays at the centre position for the Denver Nuggets, but at the same time, plays the role of a distributor. Jokic's no-look bounce passes to cutting teammates are what leave the defence shell shocked. In the 53 games he has started for Denver this season, Nikola has amassed a total of 408 assists, averaging around 7.7 a game. His assists numbers have been on an upward curve for some time now, with this year being his career-best.